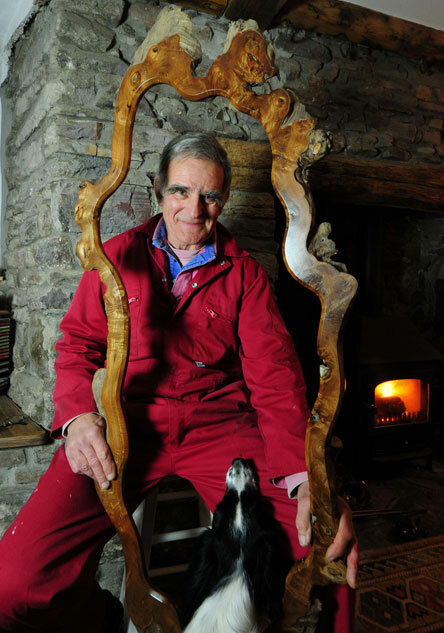 From my workshop in North Buckland, just a mile or so from the North Devon coast, I create a number of highly unusual items made almost exclusively from oak, and the oak I use invariably has history. Be it old fence or gate posts, staves from characterful whisky barrels, ancient French wine vats or burr from gnarled oak trees - all are transformed into the most original objects, from unique wood-framed mirrors to enchanting candle holders, from dragonflies and humming birds hovering in perfect balance to brilliantly simple and ingenious towel holders, to name but some. You'll not find anything I make in shops - my work is truly original. Why not call in and let me show you round my workshops and showroom with absolutely no obligation. You’ll be glad you did. "Visitors may not necessarily share my passion for wood when they arrive, but if I haven't awoken in them a sense of the beauty of wood when they leave, then I've surely failed."